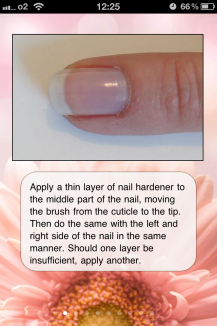 You want individual nail design, but you don't have a clue how to do that? 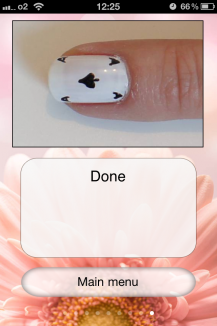 Spare that trip to a professional nail designer and download this app instead! 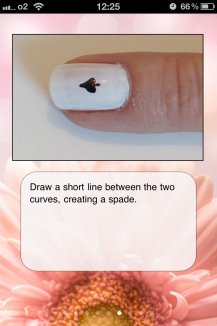 With our brilliant nail design app, we'll give you illustrated step-by-step instructions on how to apply enamel to get that perfect style. 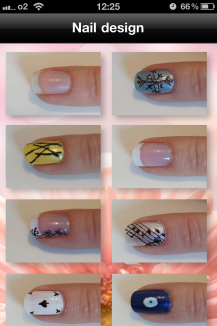 Now you can design your own individual nails, that no professional could do better, at minimal cost. Plus, the app gives you a list of tools you need for every style, where to buy them and even which brands especially qualify. 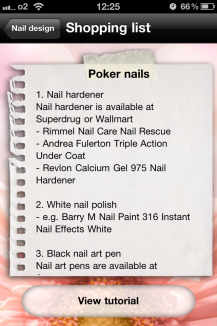 Now, there's nothing in your way of getting a perfect style for your nails!